Historically known as the Taxonomic Databases Working Group, today's Biodiversity Information Standards (TDWG) is a not-for-profit, scientific and educational association formed to establish international collaboration among the creators, managers and users of biodiversity information and to promote the wider and more effective dissemination and sharing of knowledge about the world's heritage of biological organisms. acts as a forum for discussing all aspects of biodiversity information management through meetings, online discussions, and publications. See the About section to learn how TDWG operates and how you can participate. Active Interest Groups are described under Community. TDWG and partners will meet in Leiden at biodiversity_next, 22-25 Oct, 2019, with pre-conference meetings 20-21. Registration is now open. Discounts are limited by number rather than by date, so register earlier to save. Darwin Core is a standard maintained by the Darwin Core maintenance group. It includes a glossary of terms intended to facilitate the sharing of information about biological diversity by providing identifiers, labels, and definitions. Darwin Core is primarily based on taxa, their occurrence in nature as documented by observations, specimens, samples, and related information. WGSRPD provides an agreed system of geographical units at approximately "country" level and upwards for use in recording plant distributions. It allows adopting organizations to compare and exchange data with each other without loss of information due to incompatible geographical boundaries. The system offered covers the whole world and identifies units at four levels, firstly continental, secondly regional (or subcontinental), thirdly at what may be called "Botanical Country" level (which may often ignore purely political considerations), and fourthly at a slightly lower level called "Basic Recording Units" where political integrity is fully recognised. 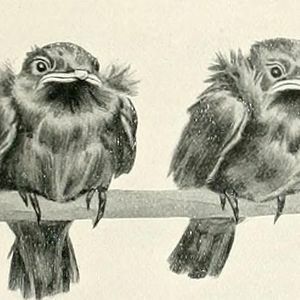 The Audubon Core (AC) is a set of vocabularies designed to represent metadata for biodiversity multimedia resources and collections. These vocabularies aim to represent information that will help to determine whether a particular resource or collection will be fit for some particular biodiversity science application before acquiring the media. Among others, the vocabularies address such concerns as the management of the media and collections, descriptions of their content, their taxonomic, geographic, and temporal coverage, and the appropriate ways to retrieve, attribute and reproduce them. Sign up to receive all important TDWG announcements.